Les discovered ham radio with some high school friends and became K2SHL when he got his General. He became interested in DX and discovered that contests were a great way to find more DX and started contesting in the early 1970's. In 1996 he received W2LK. In 1992, he operated from the US Virgin Islands for his first experience on the other end of a pileup. In 1998, he and his friend Steve Weinstein, K2WE, were the first Americans licensed to operate from Vietnam since the war as 3W6LK and 3W6WE. Since then for CQWW CW, he has operated from J7, KH6, CT9 and V3 and for many years from K2LE and W2AX in Vermont. 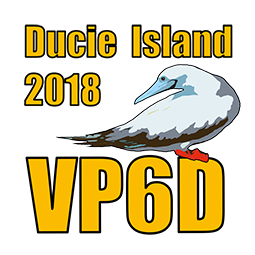 In 2011 he was part of the VK9HR Lord Howe expedition and in 2012, ZL9HR on Campbell Island, the VK9MT Mellish Reef team in 2014 and TX3X Chesterfield Island. He is active on all bands from 160 to 6 meters and particularly likes 160 and 80 meter Dxing. He is a member of CW-ops (726), North Jersey DX Association, Hudson Valley Contesters and Dxers, Order of Boiled Owls of NY, the Yankee Clipper Contest Club and ODXG.